You may find some spots on your child’s nails or their hair become dry. Often your child feels pain in hands and feet. This indicates lack of calcium in your body. The bones become weak. The teeth become too weak and baby gets teeth late. Deficiency of calcium not only occurs in children but also in elders. This deficiency can be fulfilling by milk. It is important to take care of your diet. 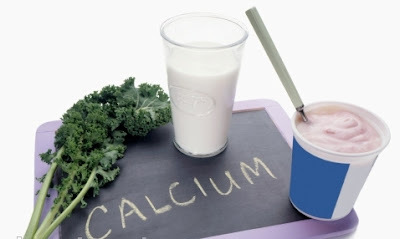 You may get high blood pressure, osteoporosis etc due to deficit of calcium. 1. Many times we start treatment without consulting from doctor. It is totally wrong. Sometimes drug gives adverse effect. 2. You can use dairy products, green vegetables and fruits, dry fruits in your diet. In addition, smoothie is high in calcium. 3. The Sun’s UV rays increase calcium absorption. In this case, you should take walk for little time in the morning. 4. You can include oranges, orange juice, bread and sprouted grains in your diet for calcium. 5. You can also include milk and milk products such as ice cream, yogurt in your diet. You can intake salad and seasonal fresh fruits for calcium.